Like a BOSS... till Monday! We accidentally put the Boss computer deck version of the contest characters into the Shop today. Way too many things going into the game at once and not enough testers... Well there's three testers, me Waric and Rolith. Enjoy it through the weekend. Their proper decks will be restored Monday! X-boost items will be stackable up to x10! This means if you buy it multiple times you can increase the amount of experience and gold bonus you get up to 100%. NOTE: It could get confusing... currently, there's nothing to indicate how many X-boosts you have. The programmers will have that in next week! Late Night Release: X-Boost Items! Contest Characters! 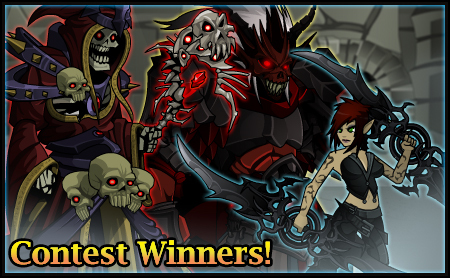 Later tonight, Contest winners Shaister and Vergil will have their characters released today! 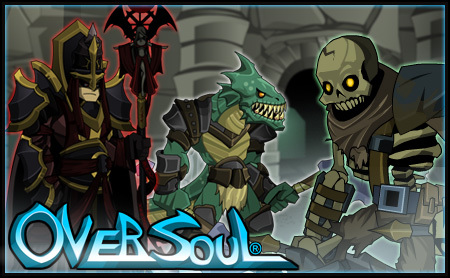 Before you spend your hard earned Soulgems or Gold on these Contest characters, know they can be possessed in the New Nightmare Dungeon! Oversoul's FIRST item, the X-Boost Item! This will increase the Experience you gain! Speed up the leveling process! For High Level Players, Talk to Oblivion, the keeper of the Nightmare Dungeon! The Nightmare Dungeon will release High End bosses randomly for you to fight and attempt to possess. Come here in the future to challenge your skills and encounter new Monsters! The Bosses in here hit HARD! Grand Quest and Card Customization! Head over to my Facebook page and "Like" it! "Follow" me on Twitter and "Subscribe" to me on Youtube. This I command! Login and play using the "ONE LOGIN TO RULE THEM ALL!" Hint: That is the same login you use to to play EpicDuel, HeroSmash or log into this site. Rebalancing Witchblade and Fiend of Vergill! We are currently working on the ability to sell back souls that you don't wish to keep . When we implement soul sellbacks, anyone who bought the characters this weekend will have the ability to sell them back for the full SG value at any time. So, if you are unhappy with the rebalanced character, you will soon be able to part with them without losing out on any SGs. This is only going to apply to the Witchblade and Fiend character purchased over the weekend time period. Anyone who buys them after the rebalance will be able to sell them back according to the normal sell back policy (90% within the first 24hours, 10% after). Sellbacks are coming very soon - Rolith is working on the server-side implementation as we speak. Thank you so much for playing! We really appreciate your support and are working very hard to make this game fair and fun for all players! 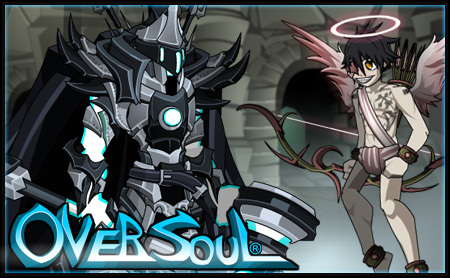 You can post your comments on the Oversoul Forum. 5 New Characters LIVE! Coming Soon: Unlockable Content! Clear your Cache and Reload: 5 New characters for you to find and capture! 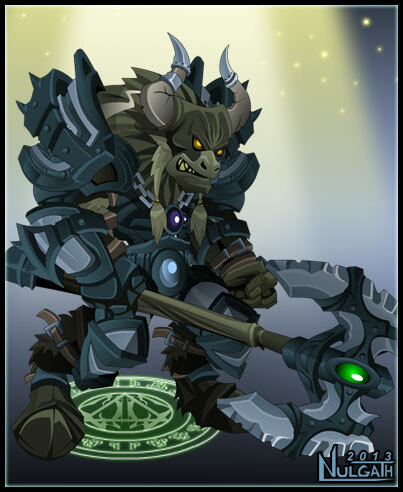 Taurus's cards have been revamped and it's Legendary form will be purchasable in the Labyrinth Shop! Dungeon encounters should favor the newer characters so you're not fighting the same monsters you'd find outside the dungeons. Warlic is continuing to optimize the game and fix bugs. You won't need to re-enter your login info after every server restart. Update on Oversoul game reviews coming this weekend. We'd like to thank MMORPG.com for being the very first Game Site to interview us about Oversoul! Login to their forum and Rate Our Game! Find out the motivation behind Oversoul, how it all got started and what our ultimate goal is! You can also submit your own Review to them HERE! The staff has been reading your reviews on the Oversoul Website so we know you have a lot to say! Thank you for your support! 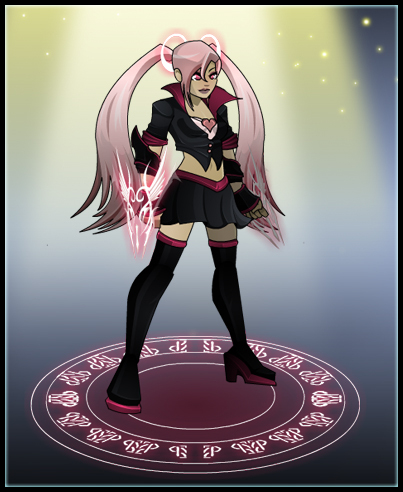 Character sreen will be getting soul sellbacks via the delete button next week! New Release Schedule Coming Soon! Your experiences in the game are being heard and taken into consideration. We will make sure boss powers are adjusted soon since the game's main features are not in-game yet. I wanted card customization, artifacts, elemental counters, leader boards and alignments to be in 3 months ago! This game is not the game I came to make without those features. Warlic and Rolith are working as fast as they can but also have to split their time with other games. The only thing that makes these features so complicated to code is the fact that we made this an MMO game. But true PvP matches is what this game was designed around so leaving that out was not an option. Me and Rev are doing our best to pump out content that have some sort of purpose behind them. The quest system is not yet able to support anything more than what is in-game already. As of now we are just trying to populate the world. Creating new backgrounds, characters, animations, gameplay features like new card specials, quests and story is pretty challenging to do and also be unique every week. It's just too much for 2 let alone 1 person to do. I need to help on other projects like AE's upcoming mobile games and AQW3D Legends of Lore! 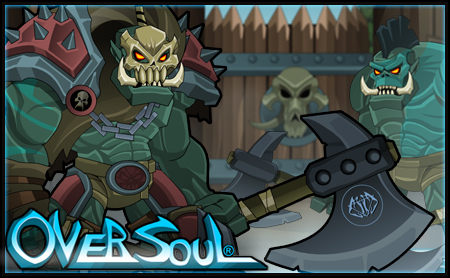 The weeks I don't help on other games will give us time to release a better quality update to you Oversoul Players. Oversoul will be a completely different animal once we have all the core functions of the game working. Slowly but surely, it's coming! The Orcs are Here! New Oversoul Music! New Dungeon and Cellar Music as well as New Encounter, Victory and Defeat Music Queues all courtesy of Dilligaf the Barbarian Overlord! New Orc Fort Battle Background! The rank up Taurus has a new skin! Soul Gem Sell backs are PROMISED for next week. Then on to card customization! Now head over to my Facebook page and "Like" it! "Follow" me on Twitter and "Subscribe" to me on Youtube. This I command! Copyright © 2012 EbilCorp.com. All Rights Reserved.